Quality chargers are a must for rechargeable batteries! 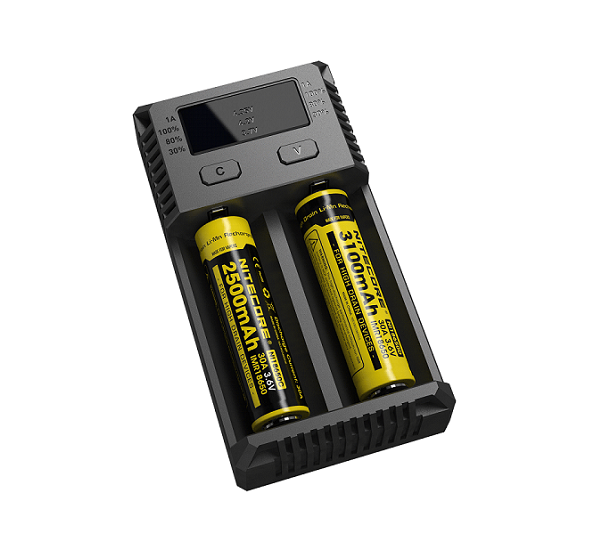 The Nitecore i2 V2 features charging acceleration which can output up to 500 mA with two batteries and accelerate to 1000 mA when only one is being charged. Alongside its intelligent charging function, the i2 can bring the dead back to life with its IMR Battery Restoration feature. Batteries that have been depleted can now be brought back to life by holding the C and V button simultaneously. Standard features like reverse polarity protection, overtime charging protection, overheat prevention, and multiple battery support are also present.